The 1More Dual-Dynamic driver earphone will be up for pre-orders from December 7 to 15 at a lowered price of Rs 2,749. 1More has launched its latest Dual-Dynamic earphone in India at Rs 2,999. 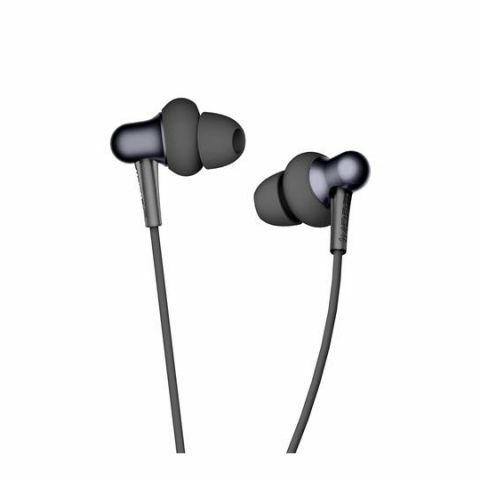 The earphone features impedance of 32 ohm and has a frequency response between 20-20,000 Hz. It will be up for pre-order from December 7 to 15 at a discounted price of Rs 2,749. 1MORE a premiere consumer electronics audio company headquartered in San Diego, California has launched stylish Dual–Dynamic driver earphone in India.1MORE collaborated with internationally acclaimed Grammy Award Winning producer, mixer, and sound engineer Luca Bignardi to perfect the final tuning to deliver a precise representation of your favorite artist's intended sound. 1MORE stylish Dual-Dynamic driver earphone has a dual-dynamic driver featuring one titanium diaphragm and one graphene diaphragm in a coaxial design with two outer layers of PET which deliver superior sonic detail with sizzling highs, clear mids, and deep bass. A back-to-back antistrophic coil layout helps to offset magnetic interference and keep the sensitivity high and also assists in maintaining the consistency of the sound wave propogration from the different diaphragms so that one can enjoy superior audio performance. A streamlined earbud with lightweight materials ensures 1MORE stylish Dual-Dynamic driver earphone an extremely comfortable wearing experience. The ergonomically designed 45° oblique angled ear fittings naturally match the curve of your ear canals for a secure fit with improved noise isolation. Three sets of silicone ear tips in various sizes feature a soft, skin-like silicone material that offer less fatigue when wearing during extended listening. A conveniently located in-line controller features smart controls that allow you to control volume, song selection, and phone calls. A superior MEMS microphone allows for crystal clear communication that eliminates background static. A soft, silicone wrapped cable can easily be placed in your pocket or bag without getting stuck or tangled. The hardness of the silicone allows it to be used in all types of weather: hot or cold. filtered with brightness and frivolity, desaturated to a mild tune, resulting in a soft and peacefully charming aesthetic. The Stylish Midnight Black, a blend of deep purples, offers a color option for those who prefer something less pronounced. The price of the product is 2,999 INR. The product carry's a 1 year warranty and is available at Paytm Mall and 1MORE INDIA webstore and many leading stores across India. The Pre order starts from 7th - 15th December 2018 on Paytm Mall at Rs.2749 offering an additional cashback of 15%.